There are almost 10,000 entries in the the web version of Yellow Pages in the UK for variations of Double Glazing Installers, so its no wonder that some feel it’s going to be hard work finding the right company to quote for their windows & doors. 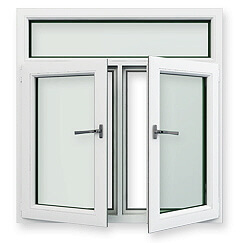 What you will find on the website is lots of details that will prove useful and a way to get quotes from decent companies for the cost of supply only or fully fitted double glazed windows & doors. I’m sure you will find that it ill save you time with a good chance of saving some money as well.